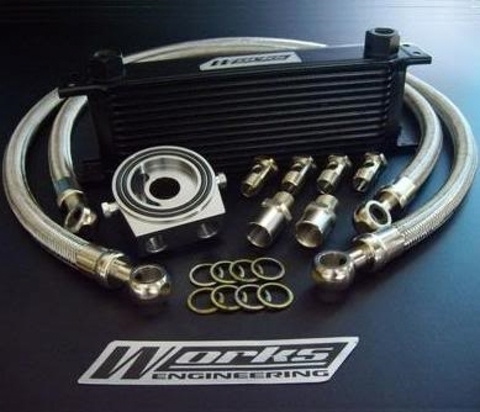 Oil cooler kits help prolong the life of your oil and in turn protect your internal engine components.Hard driving causes higher engine temperatures.Factory oil coolers are normally small water-cooled devices sandwiched between the oil filter and engine block. These design taxed the cooling system even under normal driving conditions. Because the latest generations of engine are smaller,run at higher RPMs & produce more heat,maintaining the correct oil temperature is imperative. In addiction,most engines have less oil capacity so putting more strain on the oil and all engine components. Works Engineering oil cooler kits are an excellent addition and are especially effective in harsh driving environments. With our inner-fin core design, we are able to increase oil capacity, decrease oil temperatures and extend engines and oil life. 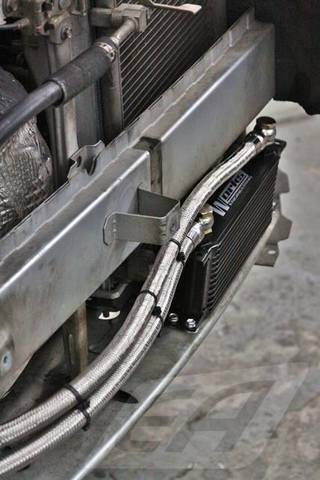 The efficient cooler cores and braided lines ensure good flow and a leak free installation. 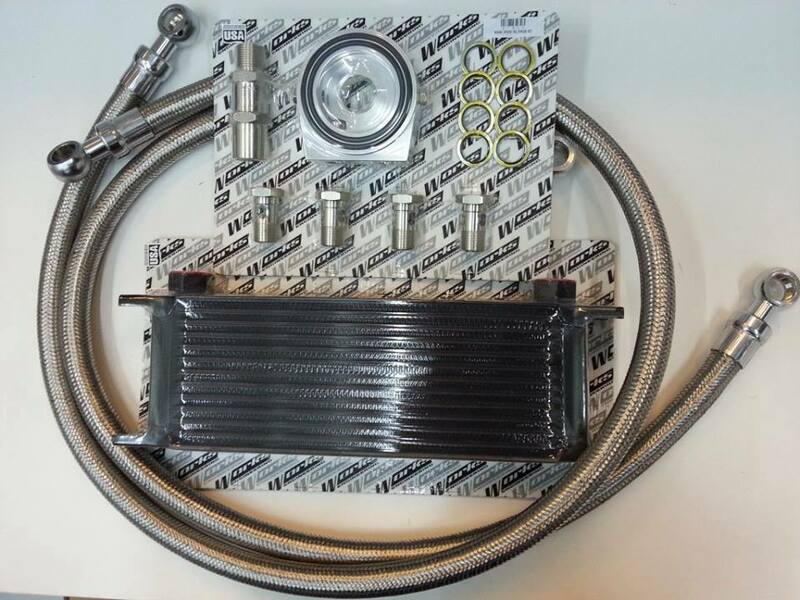 Included in the kit is a mounting plate which is also a convenient place for oil pressure and oil temperature sensors installation.